You know, it's a real shame at what he's come to, what he's allowed himself to become. He's like a broken record; always complaining or making silly remarks about one thing or another and certainly, he's tiring people out as well. If he were in his early twenties, newly married and struggling, okay, but he never ended up marrying then and his remarks are pathetic for a grown man who can't comprehend that his glory years are over. All over. And on some level, he THINKS this is how he's supposed to behave. I suspect he's rather pleased with himself for the job he's doing. Look at him in this one, doesn´t look like the same person does it. I did read that he had a double who stands in for him now and again, whether true or not I have no idea, but looking at this pic it does make me wonder. ^ Omg, he is not Willy. Prince William's speech demonstrating the value of preparation. In a bad way. Kate went to this thing, didn't she? I remember waiting one hour for her to come out and her appearance lasted 3 min. ^Oh, man, we really do need a vid or text of that speech. I've looked but nothin'. He could have had ANYTHING in life and this is what he does with the life he was handed on a golden platter. Bald, increasingly insane wife, and he has no powerful connections. He does the ribbon cutting he's always dreaded and he's a joke like his Uncle Edward. Fly's link sends you to a video (sorry I didn't notice before) and it's not such a big mess. But he is not very charismatic and the speech prepared was super basic as he is. ^yeah, duh, I should've actually clicked on Fly's link. I can see why those in the media and sports fans would find this speech really awful. His presentation is really weak, he hems and haws and it's uncomfortable. Not one of his finest moments. Not as horrible as I thought it would be but I can understand why he's taking heat for it. It's just blah when you consider the accomplishment of the athlete and the award itself. ^Agree, it wasn't as bad as I thought it would be. He stumbled a bit but I think it was heartfelt. I watched it last night (live) and I was cringing for him. It was truly embarrassing. It was (imho) a "speech" made by someone who is used to everyone laughing at their jokes and could say/do what they want and people make excuses for them. Last night he was caught out big-time with his lack of preparation, he spluttered and ummed and erred through the whole thing. I'm glad he's got called out on it because hopefully next time he'll do some homework. 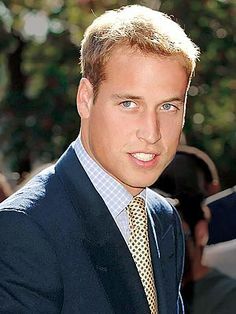 The British people have a lot invested in this future King representing the country, and at the moment both William and his wife are looking more and more unsuitable for their roles. With the University education, it seems WIlliam played hooky or avoided public speaking classes. At age 34 he still does the ers and ums. I think he's so full of himself he feels he needs no help in anything. He could use a public speaking tutor. Honestly, he should have been given a public speaking tutor twenty years ago. What happened to him? Why was he neglected in his education? Did his family forget he's the heir, a future king/head of their family? He won't be getting the "top job" for many years so why not let him goof off? How embarrassing for him and for his family. He was neglected because he wasn't trained and it was all about him being 'normal' and not at all growing up. This entire direction of his life has resulted in him getting hooked up with Kate and basically throwing his life away. He's spent hid entire life being able to coast and now the selfish git has basically ended up like a lot of people who have never had to make an effort. He's run out of looks, run out of the fuel his mother provided, and basically has lost his old, easily obtained popularity. As for schooling, apparently he doesn't want to make an effort and genuinely contribute. William is coated in spin. The excuses for his laziness are well, if everybody lives to 100 William won't have to inherit for 35 years and he'll be in his seventies, etc. etc. So why can't he lead the "normal" life with his wife and children and take on "normal jobs and he is so virtuous that he gives up his 60,000 salary to charity. 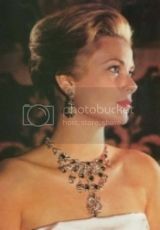 ; then there is the classic one the royals don't want what happened with Diana happen to Kate, so Kate can't work much. So pathetic. William could end up being King theoretically at any time and in his thirties he is ill prepared. If he becomes King, his name will be the "Lazy King"
Or as King George V said about the future Duke of Windsor, "If he inherits (the British Throne), he'll ruin himself within a year." And he was right. You could say the same thing about PW. I do. Worthless Willy will make an atrocious king. When he was POW and the King for one year, David Windsor was very popular. You know, if the monarchy is officially disbanded with Charles as the last king, I am certain that William will be very unaware of how to handle himself. He's based his entire existence on being the hottest prince in the world and even now, he seems unsure of how to handle the fact that he's no longer begin glorified.